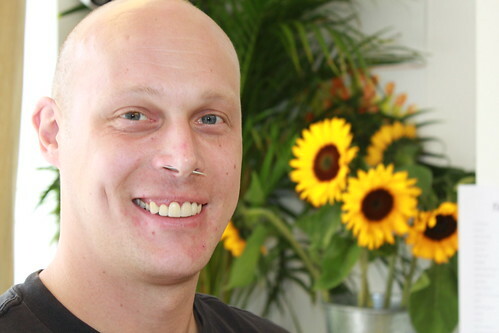 A brand new florist has opened for business in Trafalgar Road, Greenwich. 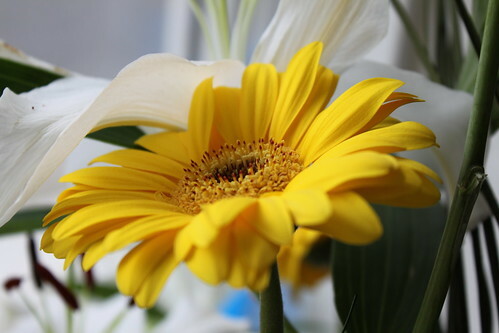 Mike Catterall Floral Designs had its grand opening over the weekend and welcomed customers with a glass of champagne. I moved to London eight years ago, and would always come to Greenwich at the weekends and decided I really wanted to live here. It was when I was looking for somewhere to live here that I found the shop at the same time and it all fell together very quickly. 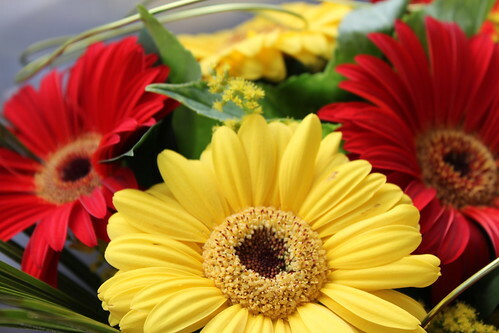 The shop will be open seven days a week and Mike even intends to open on Christmas Day for those customers who need a very last minute bouquet. 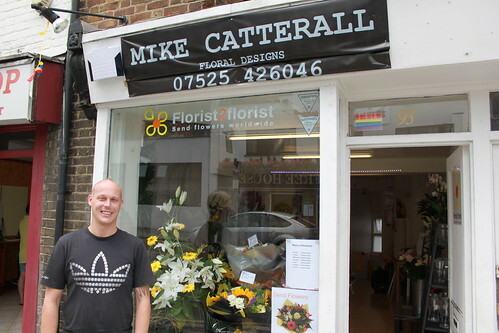 The new business caters for all floral requirements but Mike tells me most of his intricate work is for funerals and has included a pint of beer, a cup and saucer, Nemo the fish from 'Finding Nemo' and even a pair of Dorothy's shoes from 'The Wizard of Oz'. 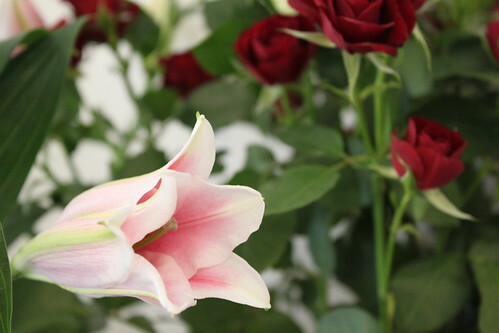 Mike Catterall Floral Designs is at 93 Trafalgar Road. Electronics retailer, Maplin, is to open a new branch next Saturday (19th December) at the Greenwich Shopping Park off Bugsby's Way. The new branch will be Maplin's 170th store, and will occupy the final unit at the retail park. You can see the range of products they stock by visiting the Maplin website. 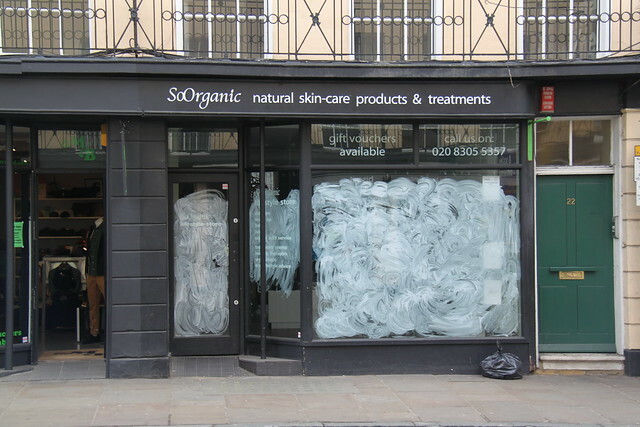 Elsewhere in Greenwich, there have been a couple of shop closures. The off licence on Greenwich High Road, Bottoms Up, has closed down after its parent company, First Quench Retailing Limited, went into administration. In King William Walk, Revolutionz - the ski and skate wear shop - has also closed down. The company is still trading online and with a branch in Norwich, so visit their website if you need to speak to them about any returns or warranty questions. A Continental Village Market will be setting up stall in Greenwich next month allowing shoppers to get a taste of produce from countries all over Europe. The traders will be bringing with them French cheeses, charcuterie, Greek olives and tapenades, dried nuts and fruit as well as Turkish pastries will be just some of the delicacies on offer. Hot foods will include German spicy sausages, Spanish paella and Brittany crepes while other items such as wooden toys, little gifts and jewellery from Paris, lavender oils, soaps and table cloths from Provence, will also be on offer. The market will be in Cutty Sark Gardens on Friday 4th September and Saturday 5th September from 10am – 6pm, before moving on to Eltham at Passey Place on Sunday 6th September from 10am – 4pm. 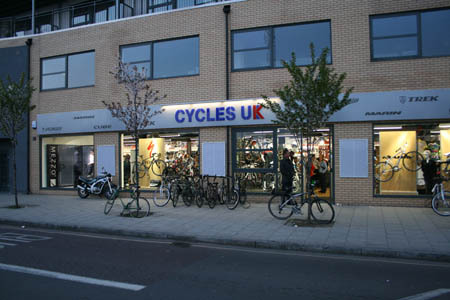 New bike shop, Cycles UK, opened for business in Creek Road on Saturday morning. The new branch is intended to be the flagship store for the independent chain, and will stock bikes and accessories from leading brands such as Specialized, Marin, Trek, Wilier and Cube. The opening was nearly derailed by the recent break-in and theft of eight cycles, but thankfully everything went ahead as scheduled. 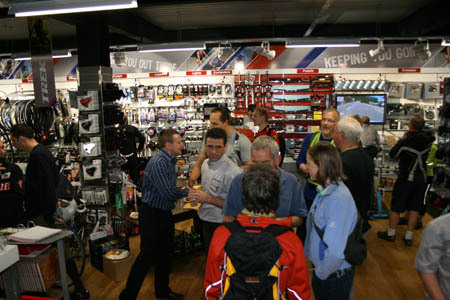 On Thursday night, local cyclists were invited down to an "open night" to see what the shop had to offer and enjoy a drink and a chat with the staff. Peter Skelton from Cycles UK tells me that the store's dedicated women’s cycling area received particular praise from the female cyclists in attendance. Opponents of indentikit towns may be further disheartened by the news that a new Fonehouse franchise dedicated to Vodafone will be opening up in Greenwich. Fonehouse, of course, already has a branch in Greenwich Church Street, and it's not yet been confirmed where this new Vodafone specific store will be. Do you welcome the arrival of another mobile phone shop in Greenwich? Fashion retailer, New Look, has opened a new store at the Greenwich Peninsular Retail Park off Bugsby's Way. Having started in 1969, New Look is one of the largest clothes shop chains in the UK and has a total of 590 branches internationally. Whilst other clothing retailers have suffered in the downturn, New Look seems to be doing quite well, recently boasting of an increase in sales which its chief executive, Carl McPhail, attributes to its "core fashion and value credentials". 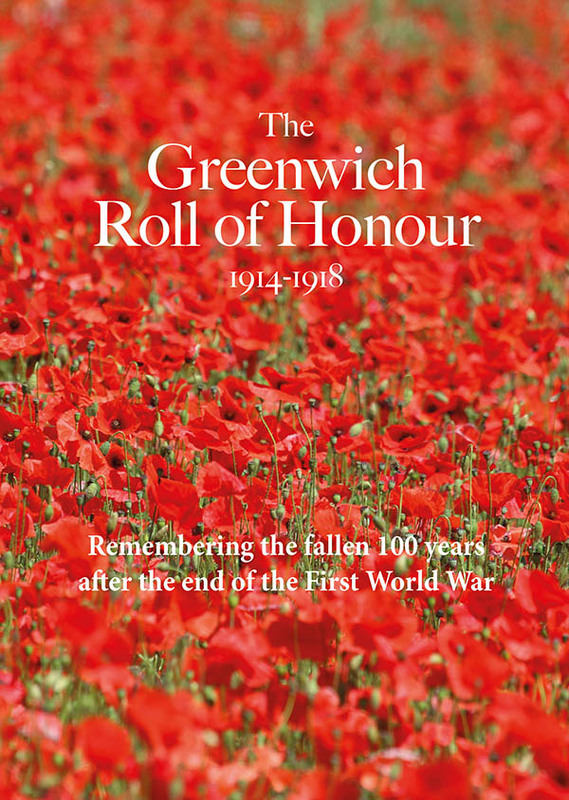 Hat tip to the Greenwich Gazette for spotting the opening.